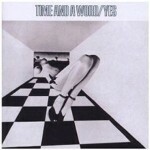 Tony Kaye was the keyboard player in the original line-up of Yes, and played on the albums Yes, Time And A Word, and The Yes Album. 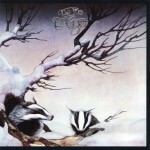 After touring with the band in support of the latter, he left Yes and played in Badger, which released two albums. 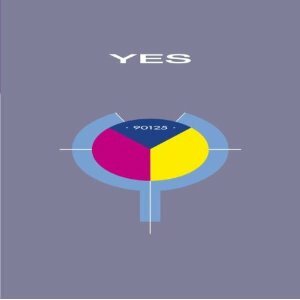 He rejoined Yes for the 90125 and Big Generator albums. 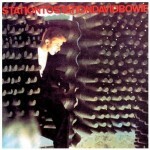 He also toured with David Bowie for the Station To Station tour. Kaye is currently playing keyboards in CIRCA:, which recently released the album And So On. This interview was done by phone on 8/15/11. Jeff Moehlis: I’ve been enjoying listening to the new CIRCA: album. Can you tell me how the album came together? 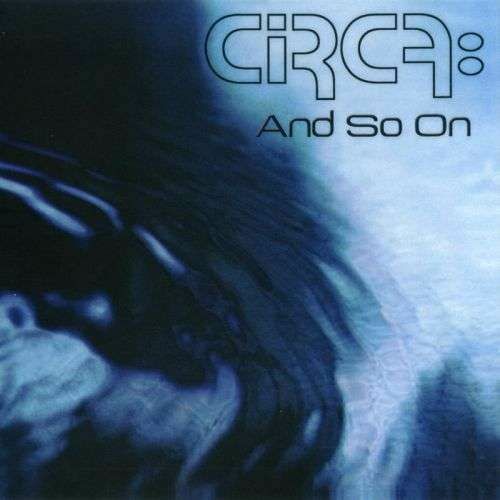 Tony Kaye: We got CIRCA: together in 2007, made a couple of albums with different people. Of course Alan White was in the band for a while, and then we had a different drummer, another drummer, and a different guitar player. Last year we put a band together with a singer from Toto, a band called Yoso. The guitar player, Johnny [Bruhns], was in that band. We did a tour at the end of last year, and by January we’d decided that it probably wasn’t the best thing to do. Bobby [Kimball] wanted to do something else. Basically it was CIRCA: and Bobby. We really wanted to do a new album, so that kind of faded out, and we decided to start recording. By that time Johnny was the guitar player in the band, and the drummer in Yoso decided that he wanted to do something else so we got in touch with a friend of Johnny’s, who Johnny had known for a long time. Gradually the band materialized. Johnny’s a great guy, and Ronnie [Ciago] turned out to be a great guy, very, very easy to work with, great drummer. Played with a lot of people, very experienced drummer. It kind of took off from there. We started recorded, and Billy [Sherwood] had some material written and we forged ahead. JM: Is there a healthy market for new progressive rock these days? TK: Well, I would not say that, no [laughs]. I don’t think there’s a healthy market in terms of the numbers of people that used to buy albums in the past through the 70’s or the 80’s, or even the 90’s. But we have a following, we have a lot of die-hard fans that have followed us for a long, long time now. So we have our people. It’s certainly not enough to fill 10,000 seaters, but I don’t think even Yes are doing that at the moment. JM: Do you have plans to tour in support of the album? TK: Yeah, we do. In fact, in a couple of weeks we’re going to go to Mexico for a few dates. It’s our first gigs with the new band and playing the new album. And then we get back here, probably do some more rehearsing, and do some in California. We just recently got an agent, and our managers from the Yoso days have stayed with us, and we got an agent on the East Coast from Philadelphia. They’re slowly putting gigs together. So we hope to do a fair amount of touring. I mean, it’s not that easy… you know Europe, we did Europe last year, and it’s not that easy, you know? JM: On the album it sounds like you’re still playing the Hammond Organ. Is that right? TK: I’m still playing that Hammond, yes. It’s not exactly a Hammond anymore, but it gets close to it. JM: Is a real one or a synthesizer? TK: It’s actually software from Germany. It’s very conveniently on my laptop. So all I need is a controller keyboard and I’ve pretty much got my Hammond. It’s a B4, and it’s just very good software. TK: Very easy to carry around, too. JM: I get the impression the Hammond was very hard to tour with. TK: Well, apart from with Yes, where we had a lot of roadies to lug it around. But I still have it here, and I still have a couple of Leslies, but it’s way too much. We rehearse pretty much at Billy’s studio. We record there, he has a converted garage that is a really nice studio, and we actually rehearse there. So, putting a Hammond in there would not be very practical. JM: In reading about your history, I read that you were in the backing band for Roy Orbison in 1965 when he toured England. TK: Almost my first gig. TK: Well, I was playing with almost my first band. I had played in my hometown with a big band, doing big band stuff, and of course traditional jazz was pretty popular at that time. I also played clarinet back then, and played clarinet in that band. I was studying classical music – I was really supposed to go to the Royal School of Music, that was the big intention. But then I started playing with a rock/blues band in my hometown. And I don’t know if you remember a band called Family. They come from my hometown, too. So I started playing a bit of rock and roll, and the first organ, practically apart from the Hammond, that was portable came out called the Vox Continental. I bought one of those, and gradually started that routine. Went to Europe, played around Europe. But basically I joined a band called The Federals. It was kind of like a show band, doing cover material. We were booked as the backing band for Roy Orbison. That really was my first big tour. Roy was headlining, but there were about four different… The Searchers, I think, were on the tour. Herman’s Hermits. It was one of those package tours from way back. Certainly in front of big audiences, that was my first real gig. JM: It’s a good way to start. TK: Yeah, it was a pretty good way to start. JM: Of course you’re best known from your association with Yes. One of the albums you played on, Time And A Word, I think is vastly underappreciated. I was curious, what are your thoughts on that particular album? TK: Well, it was a progression from the [first] Yes album. 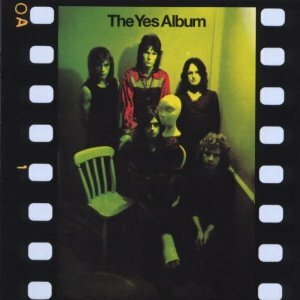 The Yes album obviously was a mixture of other people’s songs that Yes was starting to get into interpretting in our own style, and also with Jon [Anderson] and David Foster and Chris [Squires] writing original material. Jon was very much into wanting to do an orchestra thing, and so that album really was a combo of that, you know, doing original material, orchestra, and a natural progression into the band becoming its own thing. Of course, The Yes Album, after Peter [Banks] left the band, really was the culmination of getting into the Yes style. JM: It seems that the conventional wisdom is that the first truly classic Yes album was The Yes Album. But as I say, I think Time And A Word is underappreciated. TK: Yeah, it was a cool album. There is a lot of cool stuff on it. JM: On Time And A Word, the first song has your organ prominently featured, “No Opportunity Necessary, No Experience Needed”. How did the arrangment for that song come together? TK: Well, my goodness, you take me back. You know, with CIRCA: I do a sort of early Yes medley of a lot of those things, “No Opportunity” being one of them. It was just a song that Jon really liked. We actually performed it at a big festival in England with Richie Havens. We combined the Big Country orchestral thing, and it was one of our Yes-y collaborations with other people’s material. JM: The Yes Album was co-produced by Eddie Offord. He seems intriguing to me. TK: [laughs] He was a very intriguing bloke. JM: How would you characterize what he brought to the music or to the recording? TK: The album was engineered, and really produced by Eddie, or co-produced by Eddie. Eddie was a unique character, and was very much into what had become 24 track recording, I think the first we had done – I don’t remember Time And A Word being anything more that 8 track. My real picture of Eddie was in the studio cutting up tape, splicing tape together, which obviously nowadays seems really ridiculous, at least to a performer and the like. 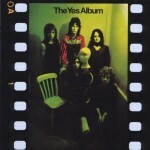 But he was very instrumental in putting a stamp on Yes music, although we obviously played it live in the studio, it was very much the beginning of experimental studio techniques. And Eddie was the man. Of course, after I left the band, Eddie went on to doing amazing things with the band, Fragile, Close To The Edge, and whatnot. JM: You were along for Yes’ first U.S. tour, which was after The Yes Album. Any memorable experiences from that tour? TK: Plenty. I think, certainly in the aspect of broadening my musical horizons, it was very instrumental being in America. The Band, of course, was a very big inspiration to me – loved The Band. About as different as you could possibly get to Yes. You know, just being able to be in America and listen to American music. 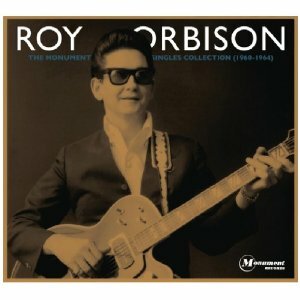 Although we had been, in England, very much influenced by early American rock and roll and blues. It was a life changing experience actually, and of course we were supporting on big shows, with Alice Cooper and Jethro Tull, and various big bands and big shows. So that was different to playing clubs in England, that’s for sure. JM: Would you like to comment on your exit from Yes after that tour ended? TK: It was a kind of a mutual thing, really. I mean, you can sort of in hindsight make it into a bigger thing than it was at the time. Although Yes was just starting to make an impression popularity-wise, I was, I guess, going on to being influenced by other bands like The Band and American music. I was listening to a lot of completely different things to what Yes was, besides dressing differently [laughs]. I looked like one of The Band at that point, when I see pictures of me now. Just going in a different direction. I had been writing and actually put a band together that eventually became the band after I left Yes, Badger, with David Foster who was the co-writer with Jon and the bass player in Jon’s first band. We had become really good friends, and started writing, and recording at The Manor in Oxfordshire, and putting the band together. So, I kind of had something else to do. And then, I think, Yes had gone back to America and had come back and their equipment had been impounded, so Chris phoned me. I was rehearsing with Badger, and they wanted to borrow my equipment. And so they came to the studio and rehearsed, and in the course of that Jon asked us to support them at a gig in London, which is where One Live Badger was recorded. So, it worked out. JM: Also in there, you played on the first album by Flash, which I listened to last night. I think it’s a good album, but was that always going to be a one-off thing? TK: Yeah, it was a one-off thing for me. I was just friends with Peter [Banks], who obviously I’d played with for quite a long time. He put the band Flash together, and he just asked me to play on the album. I was busy with my project, so it didn’t really get into me joining the band. I think that the band may have wanted me to join, but, you know, it was kind of a one-off thing. JM: I think it’s cool that, a little bit later, you toured with David Bowie on his Station To Station tour. TK: Yeah, that was cool [laughs]. JM: How did you get that gig, and what was that experience like? TK: The Badger band had changed. We’d gotten a record contract with Columbia and Jackie Lomax, who was part of the Beatles/Apple experience, joined the band. We decided to record an album in New Orleans, with the fantastic Allen Toussaint. That turned into an album that was very far from what I’d been doing in Badger. It was actually more, I guess, more Yes sounding than anything. It certainly wasn’t American. But Badger, too, was really heading into American music territory. A great experience, I mean, six months in New Orleans with Allen Toussaint. I had a really fun time. I just really loved America. By ’73, the great decade of London was kind of over for me. I really wanted to try something new, and so I moved to The States in late ’73. I moved to Los Angeles, and was sort of hanging around, not really knowing anyone. I was living in the Hyatt House on Sunset, next door to John Bonham, and getting into all kinds of trouble, as you do with John Bonham. TK: Yeah, it was pretty crazy. And of course we were pretty frequent visitors to The Rainbow on Sunset. A friend of mine, who owned a clothing store called Granny Takes A Trip on Sunset, was practically my only friend. He arranged a birthday party for me at The Rainbow, and during the course of that night I bumped into the tour manager for David, and, you know, great story. He said, “Can you be on a plane to Jamaica tomorrow? I’ll send you a limousine. Be there at 8:30.” So I ended up in Jamaica rehearsing at Keith Richards’ house with David Bowie and the band. It was just an amazing tour. Great guys. David was fantastic, the band was amazing. New York band, New York musicians. Just a great experience. I love David Bowie, too. JM: Do you have any stories about Bowie that you’re willing to share? TK: No [laughs]. Well, you know, I mean the one thing that really stands out to me about David was what an intriguing and amazing character and intellectual he was. He was not your average rock and roll star. He’s incredibly well-read, painted, had a library on the road. Traveled around in a limousine, of course, because he wouldn’t fly. Recording equipment in the limousine, and books and music. He was a very, very different rock and roll star, than I’d ever met certainly. And taught me a lot, actually. We were the same age, same birthday actually almost. JM: Did you ever do any studio recording with him, or was it more focused on the touring? TK: We recorded a few tracks in Jamaica. One, I think, say the light of day somewhere, but I don’t really remember the title of the song. I think we ended up playing it maybe a few times on the tour, but that was the only time that we actually recorded. The show was never really recorded or filmed. I do believe that on his DVD box set there’s one show that they found tapes and remastered. But there was very little recorded or videotaped. JM: You may not know this, but last year there was a deluxe version of the Station To Station album released, and it has a complete recording of the Nassau Colliseum concert, which really sounds great. You may want to check that out. TK: I’ve been meaning to check it out, but I haven’t listened to it yet. Other people have said it’s really a great sounding album, so I really should check it out. I actually have a couple of cassettes from Madison Square Garden, basically a board mix that I’d got from the sound guy to check out the show. And I found them in storage about a year ago, and I transferred it to Digital Performer, and it’s a great sounding show. It’s from a board mix, it’s really, really good. So I’d be interested to see whether the Colliseum show is as good as this. TK: I was going to, and didn’t get around to it. JM: You came back into the Yes fold with 90125, which was certainly a change of direction for the band, that obviously they had a lot of success with. I’m wondering, what were your goals at that point, and do you feel that the goals got met? TK: You know, it’s interesting. I was recording in Miami with Badfinger, and just happened to be living in the house next door to Chris’ [Squires] wife and kids. And of course they came into town doing the Drama album, and we got together that night, and I don’t think that Chris was that convinced that that particular show was going to last. He said, “Why don’t we get the band back together?” I think it took a year, maybe not quite, and he phoned me and said he’d found this guy Trevor Rabin, who lived close to me here, and so we got together and eventually ended up in London rehearsing almost a year doing 90125. Of course, without Jon, and it was a completely different band. We actually got a deal with Atlantic Records for what was then a band called Cinema, and because of Chris’ working with Trevor Horn, we went to Trevor Horn’s studio, and 90125 came out of it. And right at the end, of course, Jon flew in from Paris or somewhere, and came to the studio, listened to the album, and vocals were redone. That’s really how it started. And it just took off. The 90125 tour was incredibly successful, and for the rest of the 80’s we were working and eventually made another album Big Generator. JM: Do you have any plans to tour again with Yes? TK: Tour? [laughs] No. No, I doubt whether that’s going to happen. You know, who knows what’s going to happen with them. Obviously they have a band together, for what it’s worth without Jon. Can you really call it classic Yes? Not really. Jon is the singer of Yes. But a lot of time has gone by, and Jon is doing his own thing, and doing his stuff and recording with Rick [Wakeman]. It’ll be interesting to see where it goes. I really can’t imagine Jon rejoining the band. And I can’t imagine any sort of incarnation, or even a Union-type reunion will happen with the band. I don’t think that’s going to happen. TK: It’s a hard road, and you have to love what you’re doing, without thinking of success. You just have to love what you’re doing, and you have to have a love of your instrument. And you have to practice, and you have to become a good band. There’s no real room for mediocrity. You’ve just got to keep on plugging away. We tend to live in an age where things just go by extremely quickly, and even if you’re signed with a record company you kind of have one album to prove yourself. It’s certainly a lot more difficult than it was when we started, you know where record companies kind of kept with you and three albums later you’re still trying. Obviously the thought of and the need for success is a very important aspect of it, but I don’t think that it can be the only inspiration. JM: Do you want to set the record straight on anything about your music or career? Any nasty rumors going around? TK: I’m very private, and I don’t really give interviews, and I’ve never really been forefront in telling stories about the band and whatnot. So, if there were any band rumors going around about me, I certainly don’t know about them. Well there was one rumor that, you know, I don’t really know how it started. Maybe back in the Yes 90125 days, where we were actually the first band to not have equipment onstage. Obviously there were keyboards and masses of keyboard modules and synths backstage. The only rumor that I’ve heard was that I didn’t actually play. And I’m not quite sure how that was perpetuated, but there are plenty of videos on Youtube that show that I was playing. If anything has to be corrected, it is that. I did play. I played everything. JM: Can I ask where I’m reaching you at? TK: I live and have lived since 1974 in Los Angeles. I live in the San Fernando Valley in a place called Sherman Oaks. I heard his accent, it has actually shifted to some Americanisms, but it still is a British accent from the Midlands. hi tony, i’m a long time Yes fan, and i’d just like to say that you are a great keyboardist/pianist, that brought a lot to Yes, and deserve more notoriety and credit then you have gotten thus far. rock on dude. a-fan. -james dartouzos-easton,penna. You forgot to add that Tony also played on two more albums by Yes, Union and Talk, before leaving again. I used to like him at the beginning of Yes, but I find him limited as a keyboard player. He never was into playing more than just Hammond organ and a little piano here and there, synths and mellotron never had his interest. He is a good organist but very limited as a keyboard player, from my point of view and that is why he was kicked out of Yes right after The Yes Album. I have seen Tony Kaye playing synths on tour with Yes in 1984 and 1985… And he handled himself pretty well…especially on songs that were originally played on by Rick Wakemen…Mr.Kaye is grossly underrated.